A picture is worth a thousand words, they say. This photo is a complete detective novel if you give it a quick study. For you non-trappers reading this, let me give a bit of background to make what you are seeing more understandable. The metal and wire you are seeing in the photo is properly called a body-gripper trap. They are often called Conibear traps because they were invented and first marketed by a man named Frank Conibear. Now, most trap manufacturers produce their own versions. Body-gripper traps come in sizes from very small models, used mostly for mink and muskrats, to very large ones used to capture beavers. Here’s a photo of one set and ready. The trapper places the trap in a location, such as at the entrance of a burrow or on a trail used by the animal being sought. Hopefully, when the animal comes along, it will try to crawl through the trap, rather than go over or around and when it pushes on the trigger wire, the trap snaps shut. These traps are killers and aren’t ever used if there is a chance any non-target animal is likely to encounter it. Once the trap fires, the end is near for the captured animal. Usually, the trap strikes hard enough to render a knock-out blow and the animal becomes unconscious. The grip on it’s body or neck then prevents it from breathing and it quickly dies from asphyxiation. Picture how a common mousetrap works and you will understand the workings of a body-grip trap. Weasels are the smallest fur bearing predator that is legal to trap in Indiana. Few trappers target them because they are relatively uncommon, usually require special traps and techniques and are of low value in Indiana because most weasels this far south don’t turn white in the winter. In northern states and Canada weasels do change color with the seasons and white weasels, called ermine, are much more valuable to furriers. The body-grip trap in the top photo was set in a dry ditch in a trail being used mostly by raccoons. It’s a common set. Perhaps spots like this are “weasel highways,” as well. Weasels are so small and skinny, most can pass through a trap of this size repeatedly and never hit the trigger wire. That’s the story of this picture. The trap set and ready. The weasel hunting for its next meal captures a deer mouse and is proudly carrying it down the trail. Perhaps the weasel has gone through the body-grip trap several other times unscathed, but this time, the mouse in it’s mouth strikes the trigger, the trap fires, weasel caught and the mouse becomes a clue to this mystery novel. The epilogue to this tale is the mouse will become bait for a coyote. The weasel will go to a taxidermist to be turned into a nature display. get a bit of supervised target practice. My barn turns into “deer camp” this time of year, usually populated by brothers, nephews and a few friends. I love it. We've rigged up a pulley in the rafters to hoist up deer for skinning and I have a home made skinning winch I use to pelt out the fur bearers I catch on my trap line. There are bows and guns and camo clothes intermingled with tools, welders, ATVs and a smattering of fishing gear. This past weekend was my nephew Daniel’s first visit to deer camp. 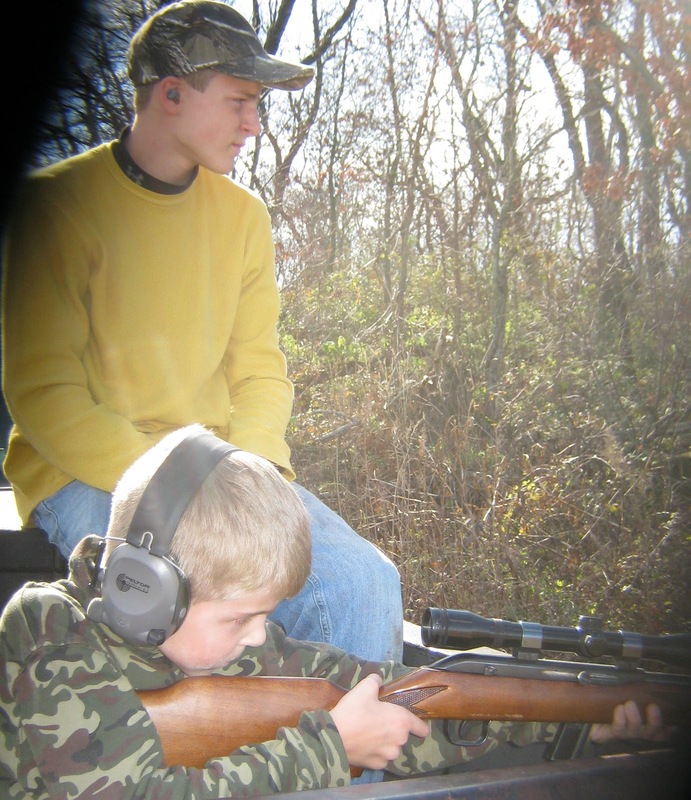 At 8 years old, he’ll get to accompany hunters, but not carry a gun. In another couple years we’ll see. It’s fun to watch Daniel experience all the “new” things that go on at deer camp. This is just setting the scene. Brother John and nephew Noah are hoisting a deer on the rafter pulley. Daniel is dividing his time between helping pull the rope - he probably weighs about 52 pounds - and watching me remove the pelt from an opossum. Deer hung, possum skinned, John asked what everyone wanted for lunch. I suggested possum. “Can you eat possums,” asked Daniel? “Have you ever eaten possum,” asked Noah? 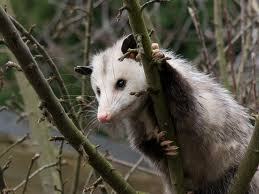 “No, I never have, but I know people who have and know in some places eating possums is quite common,” I answered. “Or possum,” I chimed in, jokingly. At 8 years old and new to the game, Daniel didn’t realize I was being jocular. "I want possum." So I went to the house, put a bit of Frying Magic seasoned coating mix in a plastic bag and returned with a skillet containing a bit of vegetable oil. I cut a few chicken nugget-sized chunks off the fresh possum carcass, dusted them liberally with Frying Magic and dropped them into the hot skillet, now on the stove. Once they became, as Food Network star Alton Brown would say, “golden brown and delicious,” I pronounced them done. “Possum does not taste like chicken,” I stated. “It’s not gamey tasting,” John said. Not only that, we all agreed, it was very tasty. Most guys like their trucks as much as cowboys like their horses. 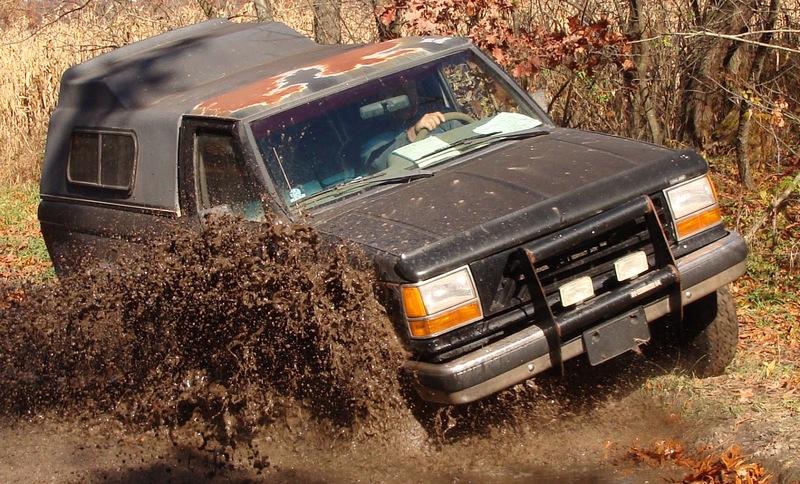 Trucks are hard-working, sometimes daring, usually dependable and for outdoorsmen, their ticket to adventure. As my love for trapping expanded, so did my need for a sturdy, dependable truck with 4-wheel drive. I’ll admit to hauling more than a few skunks around in the truck along with plenty of other, equally foul smelling items. I never minded people calling my Ranger the Skunk Truck. I fitted the truck bed with a black fiberglass topper and I often thought about painting white stripes across the hood and up over the cab and topper. I never did get around to that project. Now the Skunk Truck is 22 years old. It still runs and would likely serve me for another year and maybe another after that. Maybe not. So I bought a different truck. So far, it doesn’t have a name. I looked up the “blue-book” price on the Internet and it pegged the private sale price at $750. So I put it out by the road with a sign $700 OBO. No takers after a week so I listed it on eBay with an opening bid of $500. To my surprise, someone bid on it. Then they were outbid and the price kept going up. It ended up going for $725. So the Skunk Truck is heading back to Illinois tomorrow when the new owner drives over to pick it up. I’ll hate to see it go. It was my ticket to many adventures.